Ques. Can I buy more that one Health Insurance policy? Ans. Yes, it was always possible to buy more than one health Insurance policy. Till Sep. 30, 2013 there was a provision that you could buy more than one Insurance policy but the claim could not be duplicated to two Insurance companies i.e. the claim amount used to be shared by both Insurance companies in the ratio of the sum insured. Effective Oct. 1 ,2013, IRDA has come out with revised guidelines for the benefit of customers under which an Insured can get the entire claim amount from any of the insurer up to the sum insured amount or can claim the balance amount from second insurer. These new guidelines will make the claim procedure hassle free as one can go to 1 insurance company, if the claim amount is small. Here is an example for comparative analysis of old & new provisions on the assumption that an insured is having policy for Rs. 2 Lakhs & Rs. 3 Lakhs i.e. total of Rs. 5 Lakhs. If we go into the minute detail we find that the new rules give the customer a choice of making a claim to the insurer of his choice. Suppose the person is having the two policies first policy from Oriental Insurance Company for Rs. 2 Lakhs and the second policy from Apollo Munich Health Insurance for Rs. 3 Lakhs. We know that Oriental Insurance is having a limit of Rs.2000 per day on room rent (1% of sum assured) but Apollo Munich does not have this limit so the Insured while lodging a claim for Rs. 3 Lakhs can go straight to the Apollo Munich & can get the whole claim amount from Apollo. We are assuming that room rent is Rs 7000 per day. Lodging of claim to Oriental will result in Rs 5000 per day being paid by the insured. Prior to Oct 1, 2013, an insured had to submit all the documents to two Insurance companies so the procedure of claim settlement was a cumbersome process. 1. It gives the choice to get claim settled by any insurer of his choice until the sum insured with that insurer is exhausted and then he can move to the next insurer. 2. It makes the claim procedure hassle free especially for smaller claim amount. Let us compliment IRDA for these guidelines. Lakhs of Health Insurance customers join me in sending these compliments. Ques. 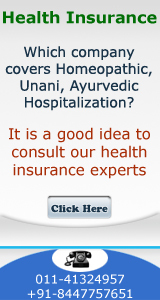 Can I seek treatment at home and be reimbursed for it under health insurance? Ans. It can be possible in exceptional cases only when there is an epidemic and no beds are available in hospitals. This is called domiciliary treatment in insurance language/terminology. Ques. I might be laid off soon. Should I see my doctor before I lose my insurance? Ans. No purpose will be served by seeing your doctor. You should consult an insurance brokerage firm and buy a health insurance policy which should be in place 30 days before your last day in your company. This protects your interests as on the day you leave the present employer –on the same day cooling off period of your new policy will be over. Ques. I am unable to work due to Disability. What are my options for health coverage? Ans. It depends on the disability. 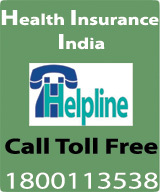 We suggest that you should buy a health insurance policy. Suppose you are disabled due to poor eyesight, you may not be able to work but you may fall ill and need hospitalization. Insurance company will put eye disease /ailment as pre existing disease and it may not be payable –but there can be hundreds of other ailment and accidental happenings, which get covered. Ques. Who is a Third Party Administrator? Ans. TPA is an abbreviation for Third Party Administrator. These companies are BPO’s of insurance companies and are responsible for coordinating all aspects of claims pertaining to health insurance policies. Computer network having details of all policies holders. Medical specialists, for assessing need for hospitalization treatment being given in the hospital and for passing of the claim bills. The role of TPA is to coordinate with hospitals with respect to treatment and also to pass the bills on behalf of the insurance companies. The actual payment is made by the insurance company. As far as the legal contract is concerned, it is between the insurance company and the person insured. The individual insured will get an ID card issued by the TPA. This ID card is useful and may be needed at the time of hospitalization.